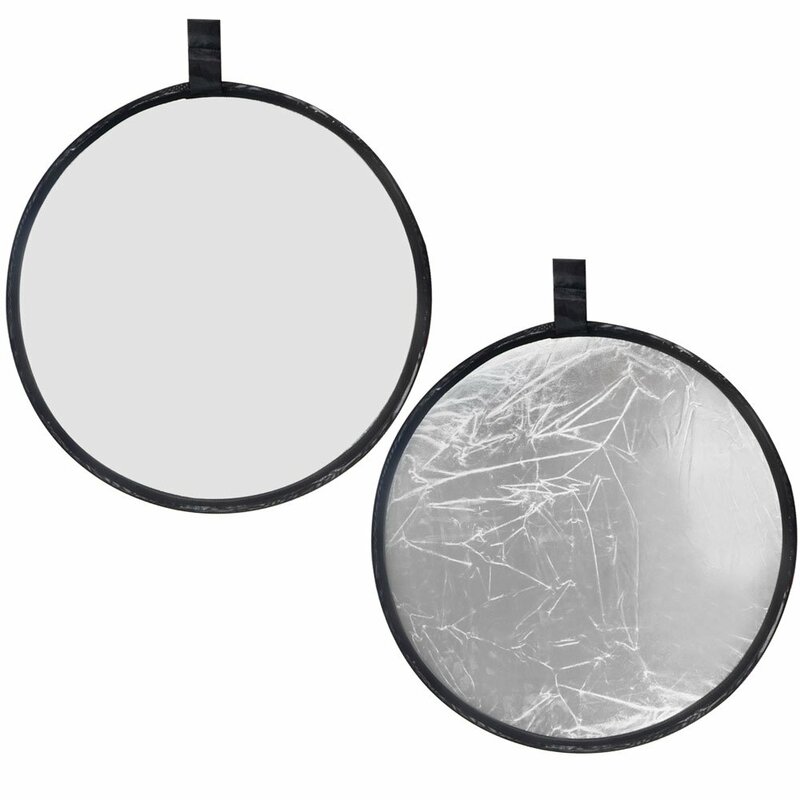 24 inch / 60cm Camera Reflector: 2 in 1 white and Silver reflector, Collapsible design,equipped with carrying bag,easy to store and carry. Silver side reflector use wavy grain coating, multilayer processing, not off powder, good reflective performance, making the light softer. White side reflector diffuser use plyester material, reflective effect more natural. Thicken protection edge, durable. One-way high quality zipper, easy opening and closing. This photography reflector with with metal steel frame, not out of shape even the reflector been folded repeatedly.